Visit our collection of articles, best practices, and talks on the research and design methods behind Google’s global products. Understanding end-users is often seen as the researcher’s role, but user research is stronger when the responsibility is shared across the team. If you’re creating products for people in new contexts, such as in developing economies, collaboration across disciplines is especially important because the quality of research improves when each team member brings their individual expertise to the process. At Google, we’ve created and executed immersion trips: team visits to the field to learn about the end-user’s everyday experience. Learning about cultural structures, and experiencing firsthand how people live in different countries can provide team members with the insight they need to build meaningful products. Everyone is encouraged to go on immersion trips, from engineers to product managers and marketing leads. Even vice presidents of products like Google Maps and YouTube regularly accompany product teams on immersion trips. Immersion trips take time, effort, and resources but designing a useful product is worth the investment. Why plan an immersion trip? Conversing with local residents and participating in daily activities, like riding the bus or grocery shopping, fosters empathy for the people you’re building products for. These conversations also help shift your thinking from building for abstract users and consumers to building for real people. Day-to-day: Spend time living like a local resident. Go shopping at the market, take public transportation, buy mobile data or a cell phone plan. If possible, arrange to stay with a local family through homestays or Airbnb. Contextual interviews: Meet and interview people in the places they inhabit, such as homes, offices, or cybercafes. Contextual interviews are usually coordinated with the help of a local research agency or ‘fixer’ that can help recruit interviewees based on sample criteria. Street intercepts: Approach people for short interviews in public places, like plazas and markets, or while taking public transportation. Design special activities: To help facilitate conversations around unexpected topics and make interviews more fun, design activities to engage your subjects. For example, ask a participant to sketch their daily technology habits on a 24-hour timeline, rather than simply asking them verbally. This method is particularly helpful for meeting with low-literate or low-income interviewees. Shadowing: Follow and observe people in their day-to-day routines, like grocery shopping or adding mobile data to their phone plan. Local research agencies can help recruit people to shadow. Conversations with local residents can help shift your thinking from building for abstract users and consumers to building for real people. The success of an immersion trip depends on preparation before the team departs. Trips lasting five days with 8-10 participants work best because it’s easier to clear schedules for short time periods. The first step is communicating the value of the research trip. Make sure the purpose and goals are clear to all participants and assign roles ahead of time. It’s also crucial to recruit teammates from different backgrounds. A diverse field team includes engineers, product managers, marketers, and leadership. A variety of disciplines merge different viewpoints, allowing teammates to learn from each other’s unique observations. Balance distribution of gender, race, ethnicity, and background to allow participants to feel comfortable. Before the trip, participants should also become familiar with local current events and culture. Read local news sites, listen to radio programs, and watch documentaries or films about the place you’re visiting. Clear research questions are crucial for conducting in-depth interviews. Questions can get at broad topics, like understanding how people in rural settings use technology, or be more specific, like follow-ups after testing a prototype. Get in touch with local partner teams and research agencies well in advance for advice. Locals can help provide feedback for your team’s approach and research questions. The team’s UX researcher should also teach participants how to interact with people during interviews, sharing advice on what kinds of questions to ask, when to ask them, and how to monitor body language. Set up training workshops for team members who haven't participated in an immersion trip before. These trainings should include information about what to wear and which local customs to follow. For example, company swag or company-branded clothing could bias user interviews, so teams are better off wearing clothes that help them blend into the local landscape. When you're interviewing someone, pay attention to cultural norms and show respect by learning a few phrases in the local language. Before you begin interviewing someone in the field, it’s important to get their informed consent. Introduce yourself and explain the purpose of the interview. Don’t begin taking notes, recording, or filming a conversation unless you have explicit permission. When you begin your interview, focus your questions and conversation on the participant rather than your product. Be aware of body language during interviews and meetings. Remember to smile and nod to convey interest but be careful not to smile and nod too much, or you might come across as disingenuous. Take cultural norms into consideration and show respect by learning a few phrases in the local language. In addition to acclimating to a new environment, immersion trips involve working late hours. Generally, immersion trips are less than a week long so you’ll need to maximize your time with interviews and observations. Plan your schedule and research around the daily rhythms and routines of the various user groups you’re studying. For example, markets may open early in the morning, or work commutes may bleed into evening hours. To keep stress levels as low as possible, be sure to balance work with fun. Schedule group lunches and dinners, but also allow for space and privacy as needed so team members can recharge. 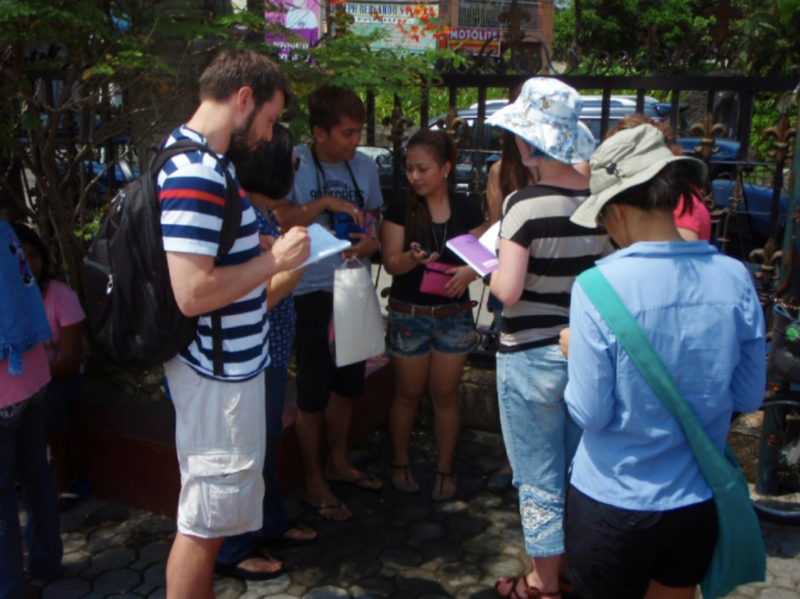 The immersion trip does not end when the participants return home—communicating your findings to the larger team is just as important as the trip itself. Share videos and photos to convey experiences and key takeaways, and consider planning an event at your company to share product opportunities, design preferences, or usability issues you discovered in the field. Offering foods that are local to the places you visited and playing regional music is a way to create an even more immersive experience. Inviting engineers, product managers, and the visiting team to present what they learned in their own words can further demonstrate the impact of investing in immersion research programs. Immersion trips provide insights and experiences that product teams can’t gain from desk research alone. By meeting people, asking questions, and living like a local, teammates learn both from one another and the people who use their products. Thanks to the Google designers and researchers who contributed to this article: Rajiv Arjan, Melinda Klayman, Loulou Quintela, and Lauren Celenza. For additional articles on Google’s global methods, check out our full collection of guides. Explore this month's featured podcast collection to learn about the research and design methods behind Google’s global products with this collection of articles, best practices, and design methods.